Hyundai will load the upcoming Santro entry hatchback with several goodies, and not all of it will be the preserve of just the top-spec. Here is what the AMT Sportz model will get. The all-new 2018 Hyundai Santro is one of the most awaited cars of the year and will take on the likes of the popular Maruti Suzuki Celerio, Wagon R and Tata Tiago. While Hyundai has officially released some teaser images of the exterior, here are some leaked images we have received that detail the interior of the new car. The images seen here belong to the 'Sportz' variant. That is the highest spec that will be available on the AMT version of the Santro, though below the actual top-end manual. The AMT gearbox will not be available on the 'Asta' variant. That said, Hyundai has ensured that even the Sportz is fairly well loaded with features like the touchscreen infotainment system, as seen in these images. 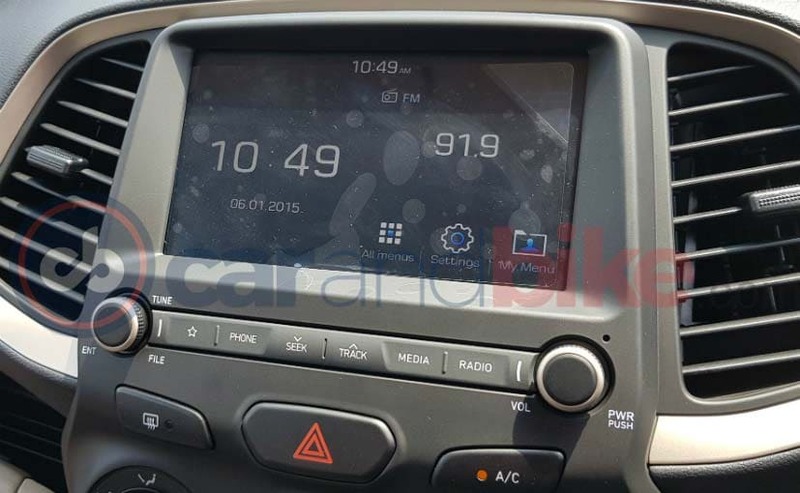 The 2018 Hyundai Santro will get the 7-inch touchscreen that we have seen in other Hyundai cars and will come with smartphone connectivity options like Apple CarPlay and Android Auto besides the usual Bluetooth Mirrorlink. There is also a voice commands option on it. The Hyundai Santro will get a two-tone interior with a black and beige combination as evidenced in the pictures; and will get a silver bezel around the AC vents and touchscreen, as also around the gear stick housing and steering wheel. The Santro will also get a beige and black combination seat finish, with the centres in cloth and the sides in leatherette. 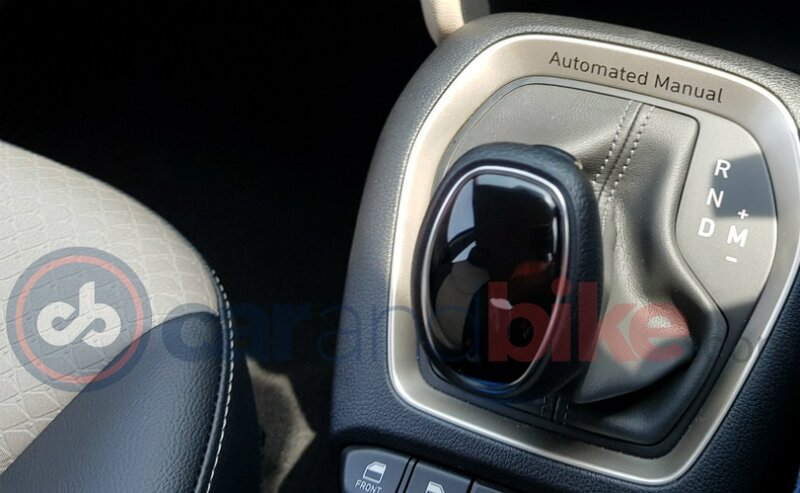 The pictures also show the AMT gear lever, which will have the standard Drive, Neutral and Reverse slots with a manual override option if you slot the gear lever to the driver's side. 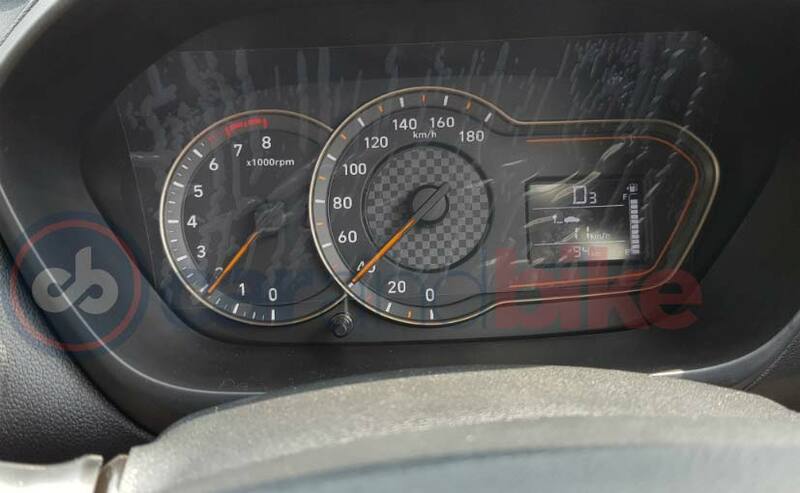 The instrument cluster is particularly nice with a chequered flag motif, a built-in rev counter and LCD screen. The LCD screen will showcase information like the gear selected along with fuel economy information and of course, the trip computer. 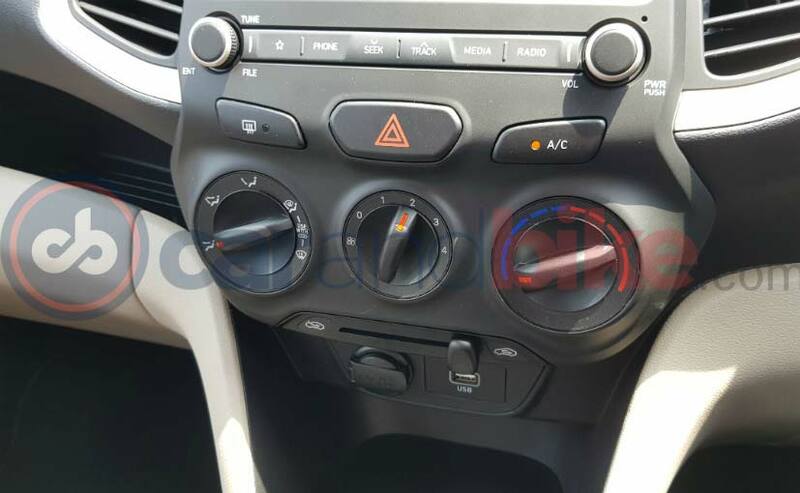 The new Santro will also have power window switches in the centre just below the gear lever bezel (barely seen in these pics). While the standard Santro will get these bits, the top of the line Asta manual variant with the 'Diana Green' exterior colour will have some more funky features too. Check out this story on the Green Hyundai Santro Interior Pictures to know more.